Respect and Loyalty. These are the two basic words that explain why I decided to run this 3rd edition of this running event which commemorates the 3rd Anniversary of Takbo.ph. Takbo.ph had been the No. 1 Running resource here in the country and it is very instrumental in spreading the awareness of long distance running to everybody. Takbo.ph had done a wonderful job for the past 3 years. 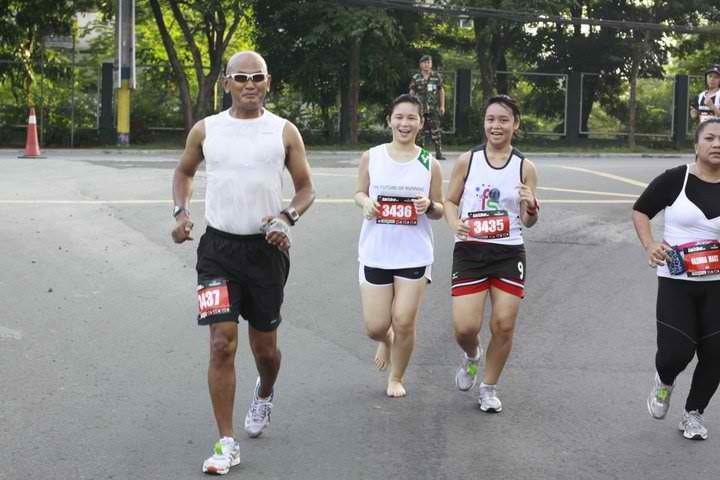 Thanks to Jinoe & Quennie Gavan and to the rest of the Takbo.ph members for their dedication to running. My attendance to this event could not be possible without the help of Jonel/FrontRunner Magazine who reacted to my call for a Race Packet as I was not able to register for this race due to my long stay abroad. Thanks, Jonel and I know already whom to call if ever I decide to run shorter races in the future. 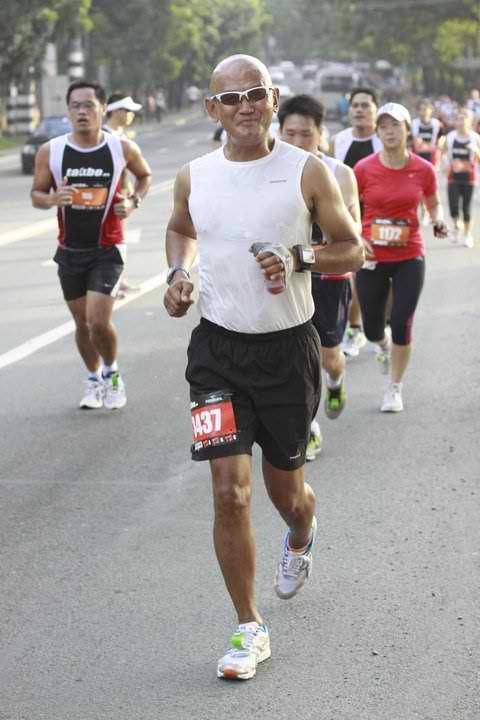 At 4:55 AM, I was already at the Starting area and I observed the usual festive mood in road races done in Metro Manila. I think the last race that I joined with this kind of atmosphere was the Condura Marathon last February. I just smiled and try to compare the simplicity of my ultra races and to the rest of the road races that are done in the city. However, it is a must to have such festive mood to give justice to all the corporate sponsors that supported the event and at the same time “prep” the runners before the start of the race. 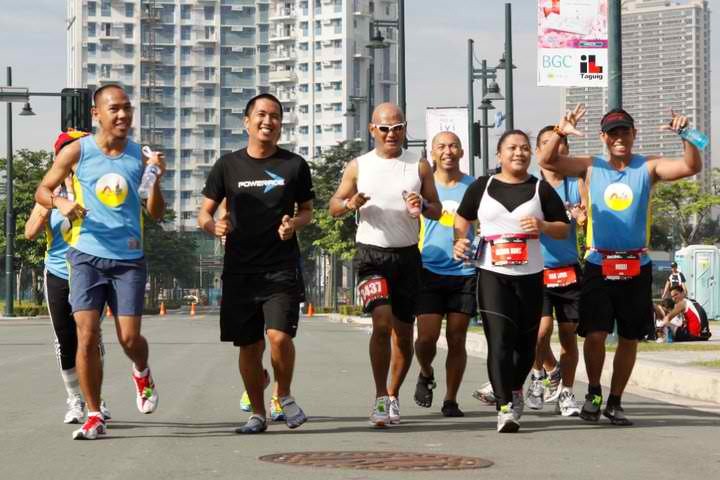 After almost 5 months of absence in road races in Metro Manila, old and new runners would greet me that would end up for photo-ops. It was nice to see friends whom I’ve been running with for the past 3-4 years. I was able to observe that there are new faces in running in different forms and sizes. This is a good indication that more of our countrymen are getting aware of adhering to a healthy lifestyle through long distance running. My attendance to this race, aside from being seen and meeting old and new friends, was purposely used as my formal “comeback” run after recovering from an injury. It was also my intension to use the 16K race as my slow long distance run as part of my new training. My new training program (on experimentation) is basically based on my Heart Rate Monitor (heart’s beats per minute). The goal is to be able to maintain an Average Heart Rate of 132-142 beats per minute during the run in order to develop my aerobic endurance base. Translating this to my average running pace, it is very, very, slow that I would end up brisk walking in some segments of the course. The race started on time and I was at the back of the whole pack once all the runners cleared the starting line. I was wearing two watches: Garmin Forerunner 305 on my left wrist and a Timex Watch with Heart Rate Monitor on my right wrist. My heart rate started at 122 bpm and gradually increased up to 135 bpm. During the run, I kept on glancing on my right wrist just to be sure that my heart rate monitor will not spike to 160 bpm. By strictly observing my HR throughout the race, I was able to observe all the things that were going on, from the front/lead runners all the way to the last runners! Through the different turn-around points, I was able to greet and see more runners which I’ve never done before in my previous races. I guess, my new training brought me another view and perspective on how to observe the conduct of races and at the same time being seen by everybody. Another aspect that resulted in this race was the fact that I had a lot of conversations with new runners at the back of the pack whose main purpose in joining the race was to be able to finish it. I came to realize that I was also a runner trying to inspire and motivate people at the back to finish the race, not through my posts in this blog, but also in “action” in road races! This another definition of running as fun! 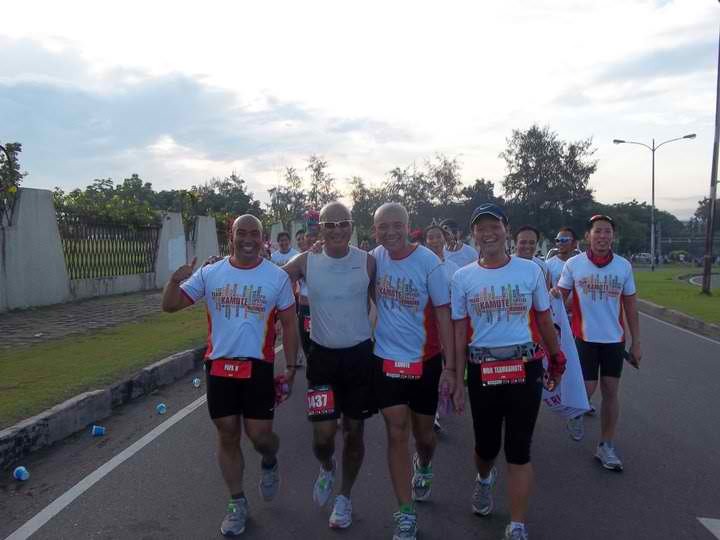 Special mention goes to Team Kamote Runners who were with me at the back of the whole pack. This team is awesome and a happy group that they run and finish together as a group/team. I enjoyed staying with this group from Km 8-12! See you in my ultra races! A road race is not successful without the volunteers. 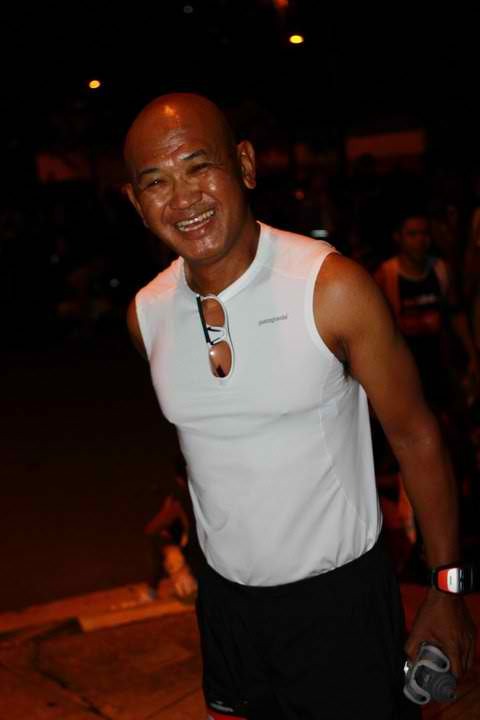 I am happy to note that the ultra runners from the 1st generation of Takbo.ph members were in full force as volunteers along the way as marshals, cheerers, and photographers. Guys, you are the best! Who cares about the finish time and PR for the race if you are following a new training program that would result to an injury-free running career for the years to come? But for the record, I crossed the finish line in 2:34+ hours (my GF time) with a bonus of 500+ meters. Yes, I was able to maintain an average heart rate of 132-142 bpm throughout the race and I really enjoyed the company of runners as well as the volunteers. Based from my GF data and consistent to my new training, I usually cover 6.22 kilometers every hour with an average HR of 142 bpm. Translated to ultra run pace, you can easily finish a 100-mile endurance within the cut off time of 30-32 hours if you have the patience to follow this kind of new training. However, due to the heat and humidity in the country, I could run and walk slower at 5.66 kilometers per hour and still maintaining my average HR at 132-142 bpm. This is the reason why I discovered a formula for the most relaxing cut-off time in my ultra races. Divide 5.66 kilometers by the distance of the race and you have your prescribed cut-off time! Congratulations to Takbo.ph for another successful event! Happy 3rd Year Anniversary! See you on the roads and trails!